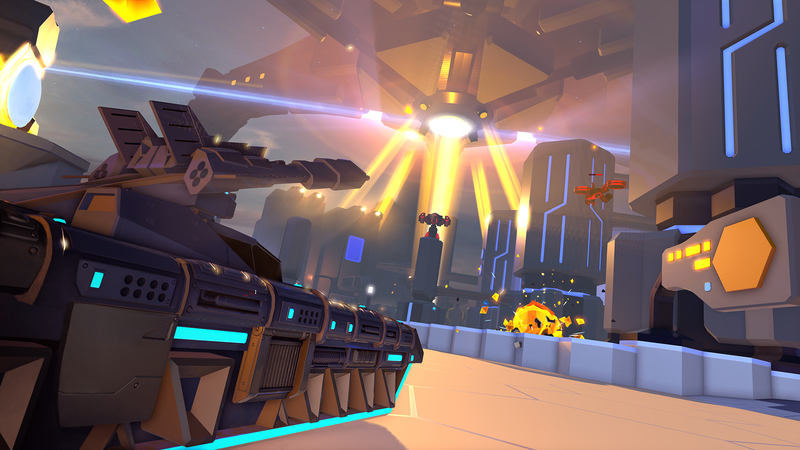 Battlezone tanks and other assorted units come armed with a variety of weapons designed to obliterate the opposing faction. Some act as deterrents for oncoming enemies, whereas some pack a real punch and can cause major damage and destruction. A smoothbore anti-tank gun firing a field-stabilised SEFOP round. Devastating rounds that can deal huge direct damage to opposing units. Timing is everything due to the speed of the round once fired. Anti-tank gun firing Hi-Ex cluster shells. These cluster shells can add a significant amount of damage once deployed to other units in the near vicinity. Staying clear from these rounds is advisable. Modified EMP round disrupts targets' systems. The round fired by this weapon auto-detonates on impact but can also be remotely triggered by a second press of the trigger. It temporarily disables electronic systems like AI brains. Rapid-firing 30mm heavy machine gun. These machine gun rounds can deal continous fire toward enemies. Whilst not particularly effective powerwise, the onslaught can still make the difference on the battle field. Rapid-firing heavy machine gun with magnetic time-fused rounds. Particularly useful against low armour units. 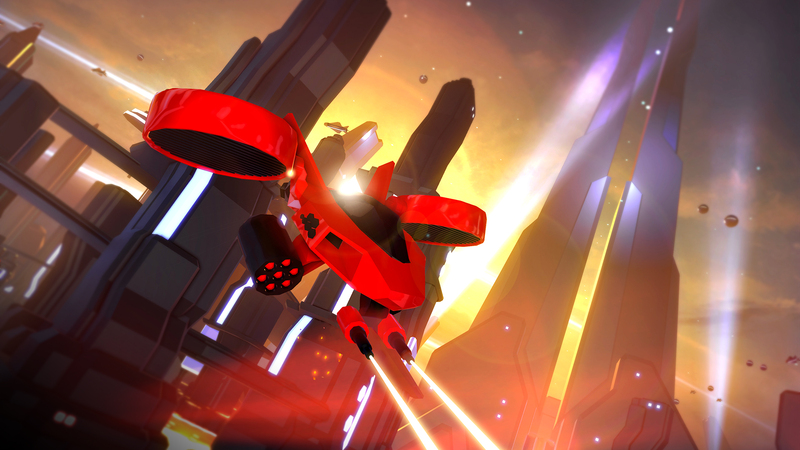 The rapid fire mechanism can wipe out enemies pretty swifty if used effectively. Burst firing semi-auto 30mm heavy machine gun. Relatively low damage weapon that can be used as a deterrent against oncoming enemies. Can be useful when low on more damaging alternate weapon rounds. High rate of fire .50cal AP machine gun. High damage weapon at a frightening rate. Can be used to dispatch low armour vehicles with ease and as a deterent option for more heavily armoured vehicles. Volley firing unguided Hi-Ex rocket pod. Fires a salvo of small unguided rockets which aim to strike their target thanks to their erratic weaving motion. Nicknamed “misguided rockets” by the cynical. 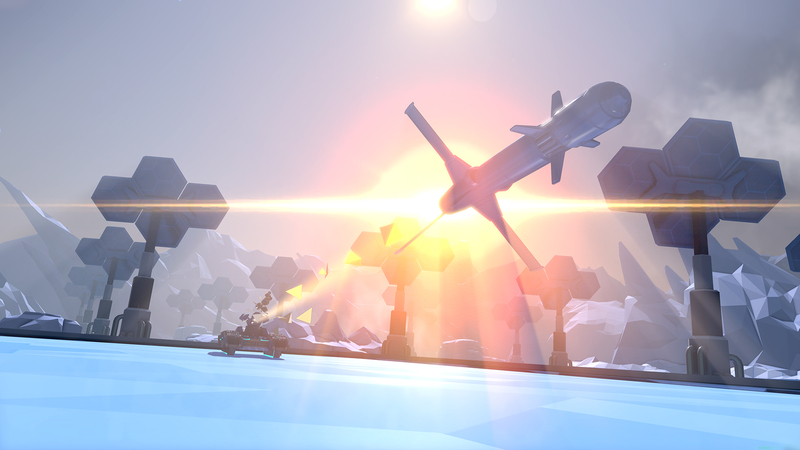 Aiming the reticle at the intended target until a lock is achieved is required before these missiles can be released. The power of the detonation is well worth the wait. Semi-active laser homing missile system. Once this missile is fired, it will guide itself to the point designated by the targeting laser. This laser must be kept on the intended point of impact until the rocket strikes. A massively damaging long-range weapon that must be charged up before firing. The longer the weapon is charged for, the more powerful the ensuing impact. Long range HE cannon. Auto-computes range for units tagged by other pilots. 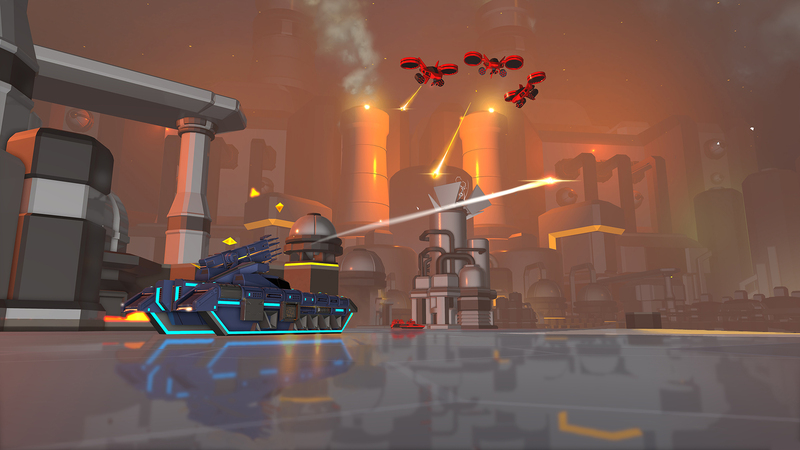 A hugely explosive, ballistic shot that can be fired over cover to cause massive area-of-effect damage. The downside is that a Pilot is unable to move while aiming. A concentrated beam of high-energy radiation. It takes a short time to charge up but can then be fired continuously until the current battery needs to be replaced. Fire flak to absorb and confuse enemy projectiles. 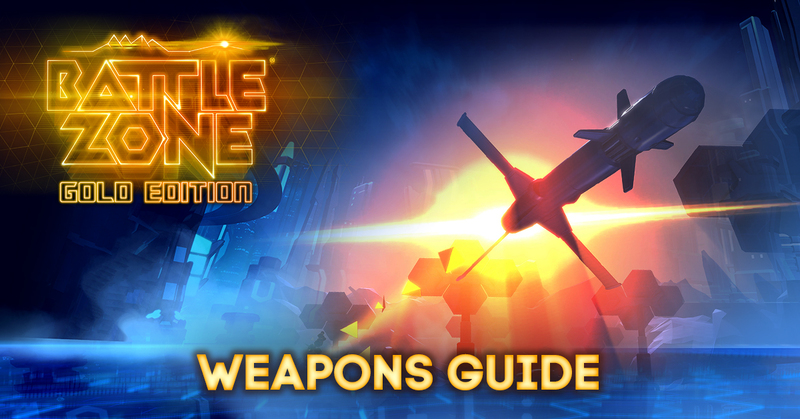 This popular weapon fires a cluster of high explosive rounds that each cause massive damage. Is more devastating the closer the target gets. Fires EMP bombs that can be detonated in the air. A great weapon for taking on aerial units. Firing into The Swarm can seriously destabilise the oncoming horde. Projects a jet of flame hot enough to melt tanks. “Flame” is too simple a word to describe the ferocity of the super-heated plasma this weapon projects. This plasma can cut through shields and hull in moments. 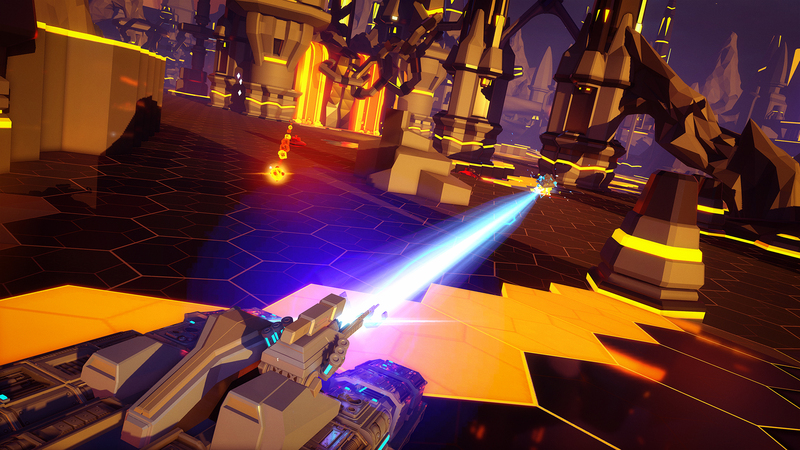 Charge up the emitters to produce a deadly laser blast. 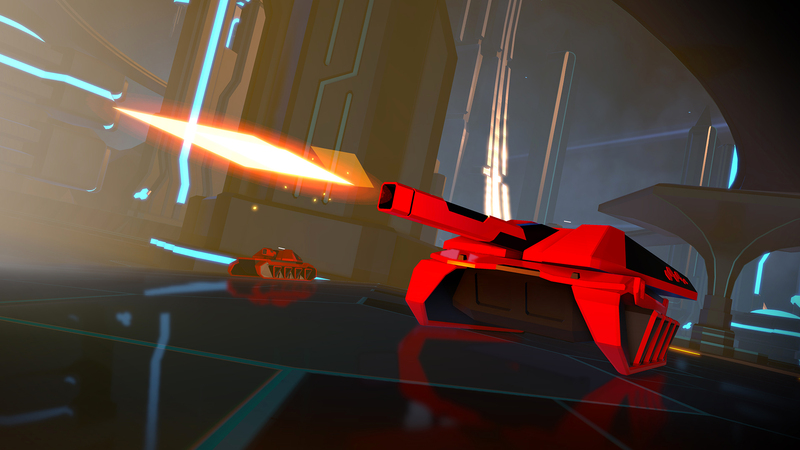 Powerful and effective against enemy units, the laser can deal major damage. Accuracy is essential as the beam is focused in one direct line. 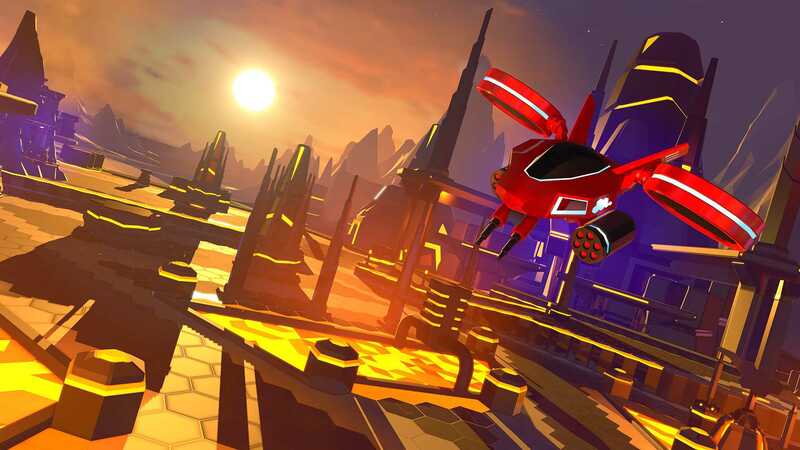 This launches multiple homing missiles, each with an individual target selected via the reticle. Great for dealing with small, fast enemies like Scout Bikes and Hoppers. Fire-and-Forget missile with a single Hi-Ex payload. The user establishes a target lock by selecting a target and holding the trigger until the lock process completes. Releasing the trigger at that point almost guarantees a hit on the selected target.